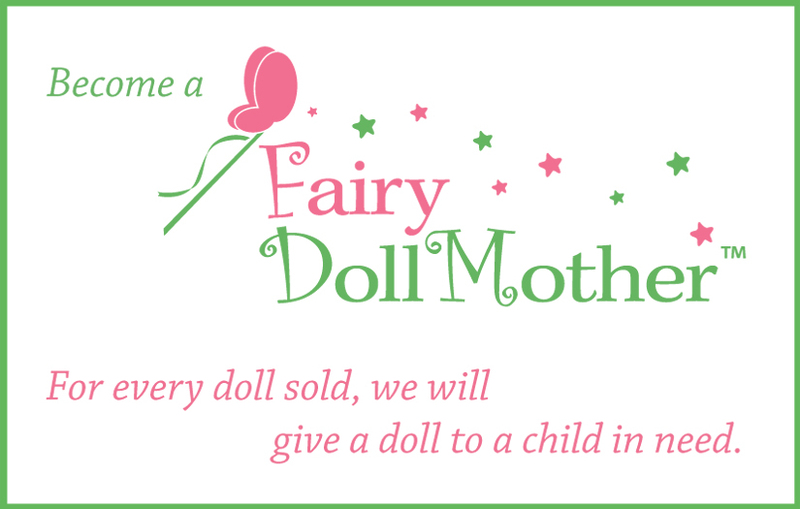 I was recently introduced to a new charitable cause, “OnceUpon A Tree House’s Fairy Doll Mother Program”. The name alone caught my attention -- sounds simple, yet powerful in meaning! Once Upon A Tree House is an online store, designed by two Moms, whose mission is to create handmade and eco-friendly doll houses, dolls and accessories that provide lasting memories for parents, grandchildren and grandparents. 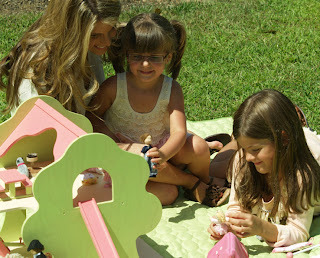 At an time when most children own an electronic device, the traditional toys that “Once Upon A Tree House” offers help cultivate a child’s imagination, promote quality family time, enhance communication and provide opportunities for parents/grandparents in creating a strong bond with their children/grandchildren by playing together. Children grow up so fast that not to spend fun, playful time with them is a sin! And this holiday season, when you purchase a doll at Once Upon A Tree House, you not only make your child smile but you are also responsible in making a less fortunate child happy! Once Upon A Tree House, in partnership with Kids In Distressed Situations (K.I.D.S. 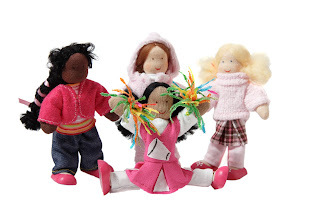 ), is accomplishing this through their “Fairy DollMother Program” by donating one doll to a child in need for every doll sold during this holiday season. 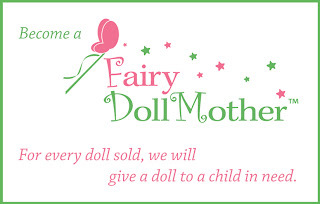 Therefore, when you buy a doll from Once Upon A Tree House, you and your child become “Fairy Doll Mothers”. What a way to teach your child the true spirit of the holiday season! So as Once Upon A Tree House founders and sisters, Lori Schoeneman and Tara Schoeneman-Brown said, "not only will you feel good about giving your little ones great wholesome toys to play with, but you will also be able to teach your child about how important it is to help others." Teaching children that they are blessed for what they have, and that every gesture – no matter how small, can make a difference, is a lasting gift any parent can give to their children. Instilling in their young minds that all they need to do is help one person at a time, just make one more child happy is a way to spread cheer during this holiday season! So please check out “Once Upon A Tree House” and get a double treat! Remember: Share LOVE, you’ll get more of it in return! Kids In Distressed Situations (K.I.D.S.) is celebrating its 26th anniversary as a leading nonprofit organization dedicated to providing NEW toys, clothing, books and more to children in need. These donated products are distributed through a network of nearly 1,000 local social service agencies. Since 1985, K.I.D.S has provided more than 67 million underprivileged and disaster-struck children with over one billion dollars of merchandise, giving these children, and often their entire families, hope and self-esteem through a gift of something brand new. Embrace 2012 with LOVE ~~ Happy New Year! What does Christmas or Hanukkah mean to you?